We will ship via the United States Postal Service (USPS), Fedex and UPS. UPS/Fedex does not deliver to PO Boxes. If your shipping address is a PO Box, you must select a USPS option or your package will be returned to us. We do not accept C.O.D. orders. We are not responsible for stolen packages. USPS Priority Mail international - Usually it will take about 1-2 weeks for delivery, but it can vary depending on your country's custom or local post office. Tracking number is avaiable for this shipping method. UPS tracking numbers may not be trackable until later in the evening when packages reach the shipping center. In rare cases it may take up to 24 hours for the package to be trackable. Unfortunately, USPS does not yet provide any online/live tracking options for their packages. Only a delivery confirmation number can be provided along with a shipment notification. Please note that USPS has difficulty tracking international packages. Your USPS delivery confirmation number may or may not provide any useful information. Most of our orders ship the same business day when ordered before 3:00 PM PST. International orders usually ship the next business day. Orders received on weekends or holidays will be shipped on the next business day. 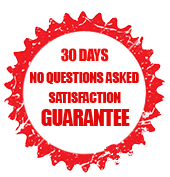 We will make every effort to ship your order in a timely manner.